Realism in art history, painted by many famous artists, can be described in at least two different ways. The first is replicating Nature in all its details and chromatic color changes. The second is recording events of everyday life by any means possible and to do it factually. One example is representation of nature or events by photograph. Another example is an art representation by etching and aquatint, a process used by the artist Francisco Goya in his art(etching technically) "The Sleep of Reason", 1797-98. Goya was a realism artist under these definitions because he depicted the world the way it was without illusion, even though the subject matter of his art seemed to be fantastic, imaginative and a bit romantic. He saw in his art the world for what it was, and accepted it for what is was, good or bad. He did not interject his opinions or emotions into his art, he told the truth about what he saw. Goya’s art recorded only the facts about the contemporary events of daily life. Realism rejected fiction because it was not true. The subject matter didn't exist in definite time and couldn't be seen in reality. Historical art and painting was rejected because it wasn't happening right now in contemporary life. Only verified fact was true. Pure imagination, intuition, religion and fantasy were all rejected on this basis. One of the first artists of this period in was Francois Millet. Although Gustave Courbet was the first to give the movement a name via one of his one-man-shows, it was Millet that probably first painted scenes from everyday life, detailed, as life truly was. In one of Millets' paintings, "The Gleaners", 1897, he painted contemporary people performing their everyday occupations, in this case gleaning grain after the harvest was completed. Millet’s art in this painting doesn't tell a story, idealize, or romanticize. He records the event just as his eye saw it. Artists in art history such as Goya were allowed to express themselves to an extent in their art. He was free to exaggerate and emote a bit in order to produce appealing representation of facts acceptable to the public interest. This approach is seen in one of his famous paintings "Executions of May 3,1808". The picture is realism because the facts of the event were not distorted by emotion or fantasy or exageration. Goya depicted the way the event took place, take it or leave it, good or bad. In the mid 1800's artists became disillusioned with romanticism and the Neoclassicism of Jacques Louis David. Artists wanted only to paint nature only as it truly was, they wanted to paint truth and contemporary modern life in their paintings the way it really existed. 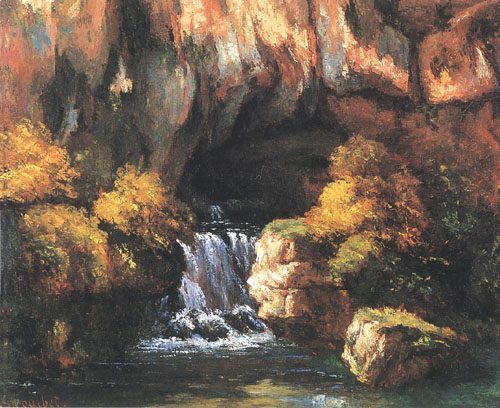 Other Famous artists of the this period are Corot, Daumier, and Daubinigny. Norman Rockwell, Please visit this recommended Norman Rockwell website. Best Norman Rockwell Art.com. See why Rockwell was America's favorite artist. Carroll Jones III Art Gallery Carroll Jones III Art Gallery.com. A photo realist artist in New Jersey. His fine artwork includes original oil paintings, B/W drawings, and limited editions of reproduction posters. Click on the graphics below to increase graphic sizes. At the same time you can also view an opportunity to purchase a poster or painting reproduction. Would you like to build your own website,a website that guarantees traffic, build a website when you don’t know a thing about HTML language? I did, and the proof... you’re viewing the website I built with the “Solo Build It".Click here for an easy "how to" video tour.